Widebeam or Narrowboat training prices at the Norths Premier Training Centre. Two day course itinerary at our primary base Apperley Bridge Marina. 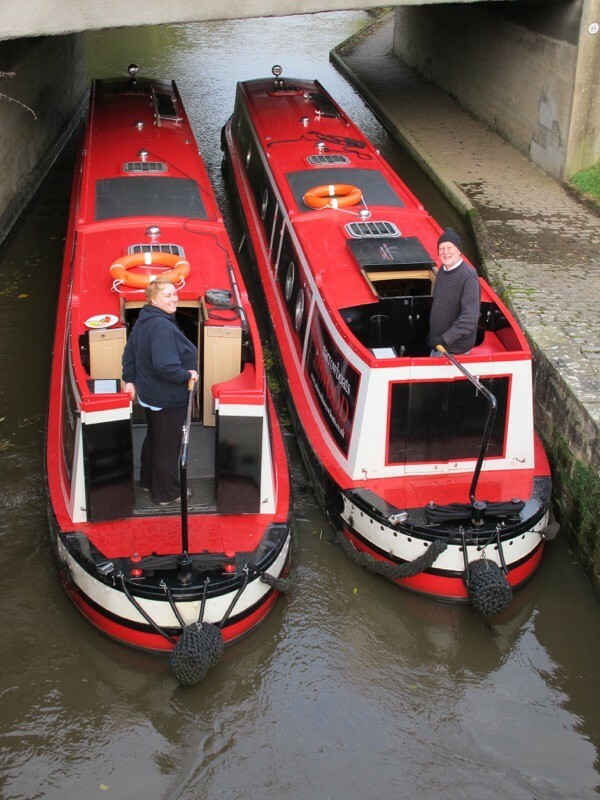 Integrate a training course into your holiday on our widebeam or narrowboats. Available on all our boats, visit either Leeds city centre or world heritage site Saltaire. The RYA IWH Training Course is a must for all people new to boating. Download the Course Booking Form which is to be completed by everyone taking part. Our boats and your safety and comfort are important to us and that is why we are also an RYA Approved Inland Waterways Helmsman Training Centre. The training course is a two day course and covers all aspects of helming the boat, locking up and down, rope work and typical boating manoeuvres such as taking and leaving a mooring concentrating on how to do these things in the worst of circumstances. Suitable for everyone from beginners to the most experienced, we can tailor the syllabus to ensure you get out of it exactly what you want. Most important is the focus on team work – ensuring everyone is confident on helm as well as doing the hard work on the locks so that the work load is shared equally. Training courses are run throughout the year on our 57 ft narrowboats – call us for availability or take advantage of our very Special Rates on training for anyone booking a holiday hire with us and we will incorporate the training into the first two days of the holiday – ensuring you are fully equipped with the knowledge and skills required to ensure you have a thoroughly enjoyable holiday from beginning to end. New for 2017 – widebeam training on board nemoNOO. Limited availability call us now. Combine your training with a couple more days on board so you get some extra time to practice your new skills. We offer 3 night 4 day training cruises to Leeds or Saltaire and back to Apperley Bridge Marina. We and other hire companies offer discounts for anyone holding their RYA Inland Waterways Helmsman Certificate. 2017 © bearBoating. All rights reserved.